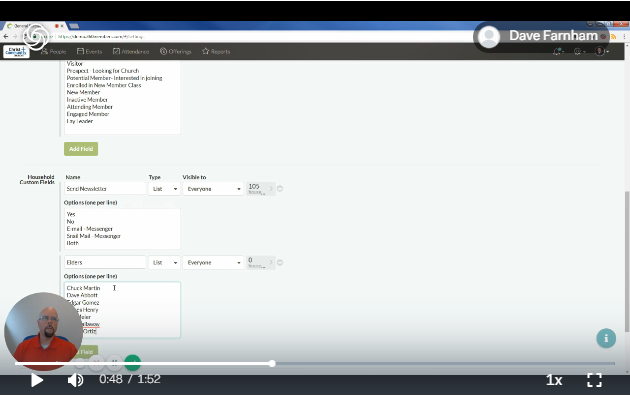 We’re pleased to announce the release of two new features to Church360° Members: the ability to create Smart Groups based on offering type and a custom field type for website links. 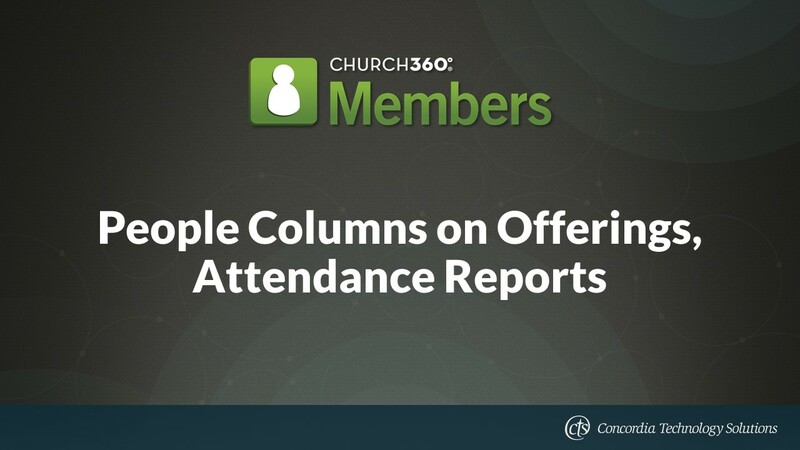 Church360° Members has always prioritized showing the right information in the right place at the right time. One way to accomplish this is to filter out people who are no longer active in your church, and while this is often accomplished by utilizing smart groups, a more permanent solution has been requested. 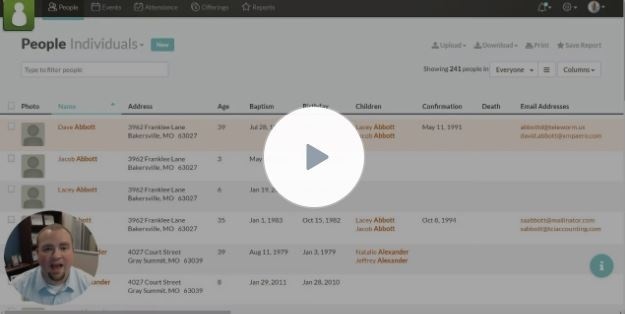 We have now added a way to hide people for good with the Archive People function. 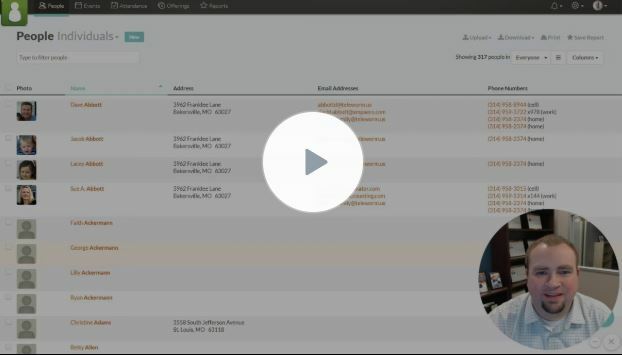 Church360° Members offers the option of renumbering all offering envelopes at one time rather than individually. This mass update can be implemented immediately or scheduled for a later time. With some recent updates, the process has become easier than ever before. 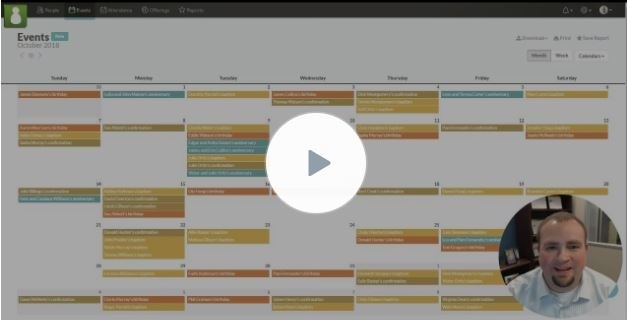 Church360° Members now offers the option of limiting which people show on the anniversary calendar in the Events view. You can do this by selecting a specific Smart Group. All accounts have been updated to show only the “Members” Smart Group (people who are currently living members). 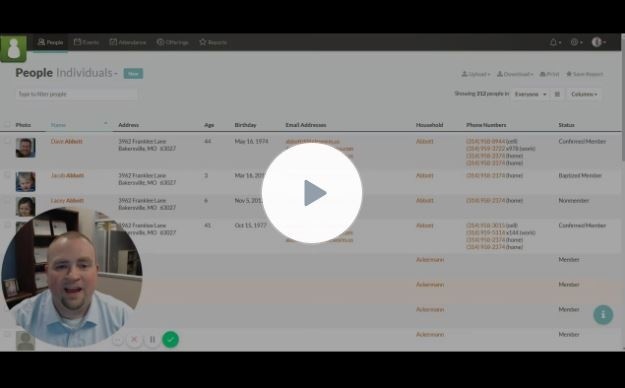 We hosted four training webinars for Church360° Members this month. 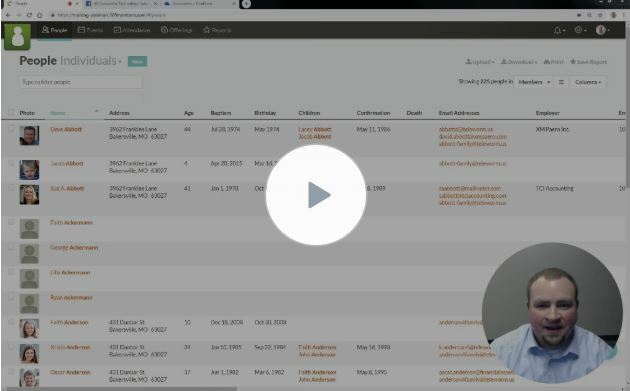 All the videos are collected into this post to make it easy for you to watch any webinars you missed. We often hear from customers that it would be helpful to see more information about people alongside offering and attendance information. Read below to see the improvements we’ve made to answer those requests! 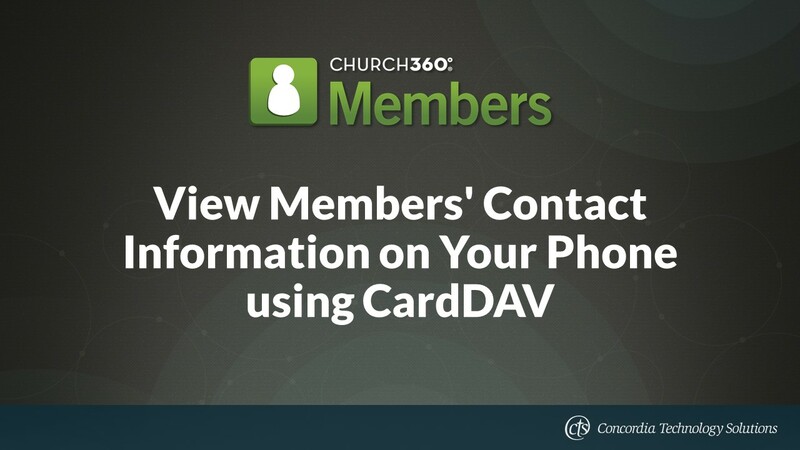 Your Church360° Members account has all the contact information you need, right? Well, did you know you can import that information onto your phone? 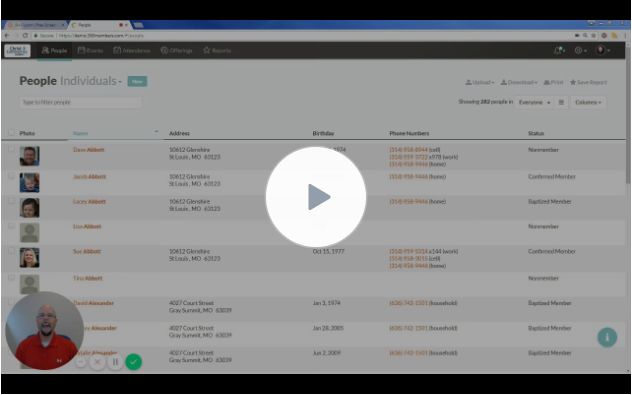 At Concordia Technology Solutions, we’re committed to helping our customers easily manage their churches. Here, you’ll find information on innovative new features, the latest software updates, and upcoming training opportunities for Church360° Members.